The genus Yasuhikotakia was separated from the genus Botia by Teodor Nalbant in 2002 and currently comprises 10 species. 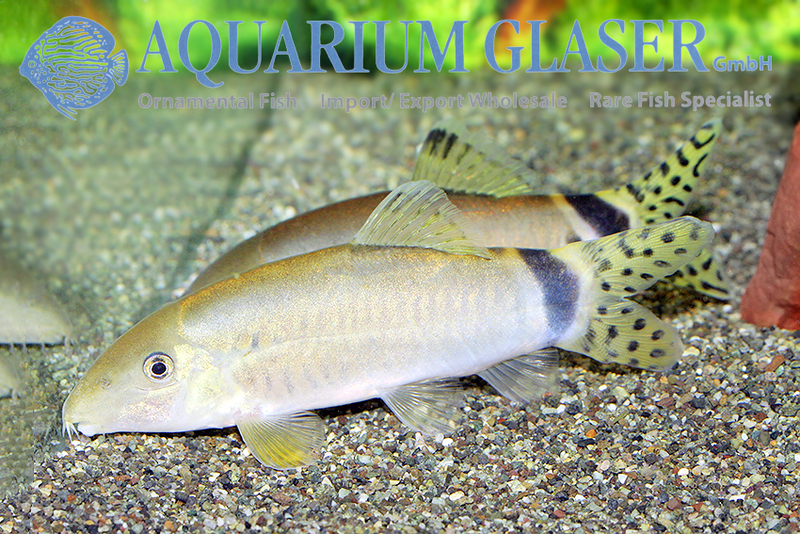 Some of them are important aquarium fish like Y. morleti (older synonym: Botia horae) and Y. modesta. 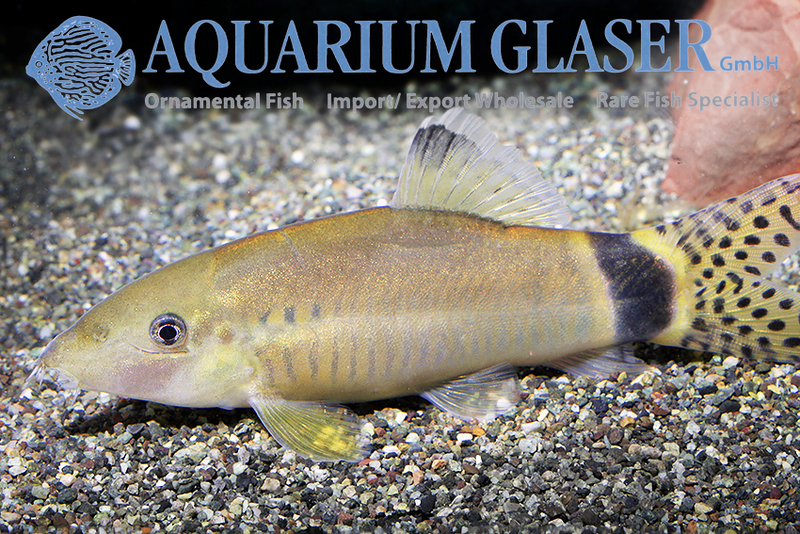 The newest species on the ornamental fish market is Y. splendida, which was described as Botia splendida in 1995. It differs from the very closely related, aquaristically well known species Y. morleti only by its colouration. However, this is very striking, beautiful and makes the species unmistakable. So far the species is only known from Laos (Xe Pian), but this does not mean that it does not occur in other places. Together with it Y. modesta and Ambastaia sidthimunki were found, the latter a species described from Northern Thaialnd and in the meantime even considered extinct. 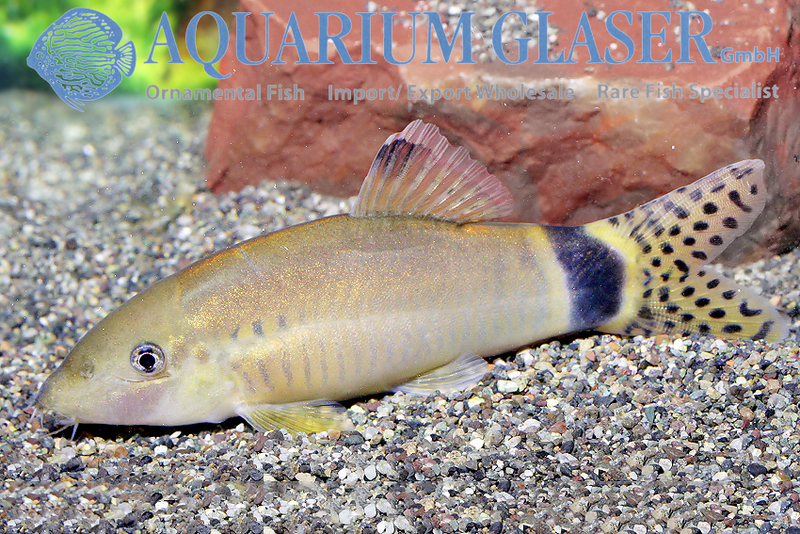 In nature these loaches inhabit clear running waters with stony bottom. Not much is known about the behaviour of Y. splendida. However, it is not to be assumed that it deviates substantially from that of the skunk loach; Y. splendida also becomes similarly large with about 10 cm. At present our specimens are 6-8 cm long. Since the fishing areas are far away from the normal routes, there are only a few specimens on the world market and these are very expensive. For our customers: the animals have code 405203 on our stocklist. We have very few specimens in stock. Please note that we only supply wholesalers.